If your shower seal has deteriorated over time, chances are you’ll have some unwanted water gathering on your bathroom floor at best. Worst case, there’s undetected water gathering in your walls and damaging the structure of your home. A leaking shower is often caused by grouting that has deteriorated over time. It might sound like a big job sealing the leak, but that’s not the case at all, which is why we’ve written a guide to help you seal that leaking shower once and for all. Sealing your shower using a silicone sealant is the easiest way for a novice plumber to fix a shower. And if you’re worried about it looking shoddy, or don’t trust yourself to apply the silicone evenly, we have just the trick for you. 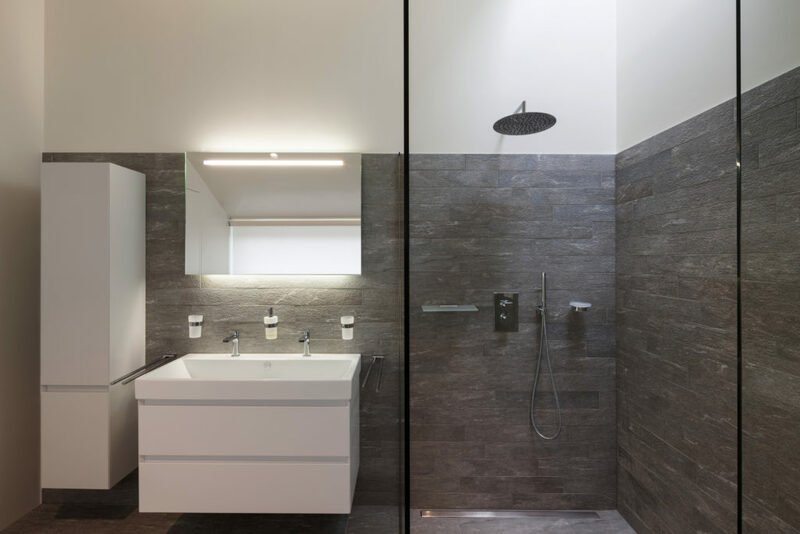 We suggest you pick a shower trim, choosing from the white or silver options available, and attach it to the section over the silicone shower seal, where your bath meets your shower tray using silicone sealant. This will give it a seamless professional look. Here’s how you can seal your shower and give it a professional looking finish in a few simple steps. Remove all previous silicone using a sharp knife and then scrape away any residual silicone using an abrasive cloth or pad. Use protective gloves because silicone is an irritant and be careful not to damage or scratch the surface of your shower panels/tiles or shower tray. Use white spirit to remove any small strands of silicone. Clean and dry the surfaces you are working on. If there’s any moisture beneath the silicone, it will become a place for bacteria and mould to grow. Use masking tape or duct tape to isolate the groove you are about to apply the silicone to, leaving just the area where the sealant needs to go. When you fill the groove between the wall and shower tray with silicone you don’t want there to be any unfilled space remaining, which is why the next step is to cut the silicone cartridge at a 45-degree angle so it’s slightly larger than the gap you’re about to fill. Apply an even bead of silicone along the groove. Then, while the sealant is wet, slide your sealant finishing tool over the silicone to spread it evenly over the area. Then, cut your shower trim to size using a sharp Stanley knife. 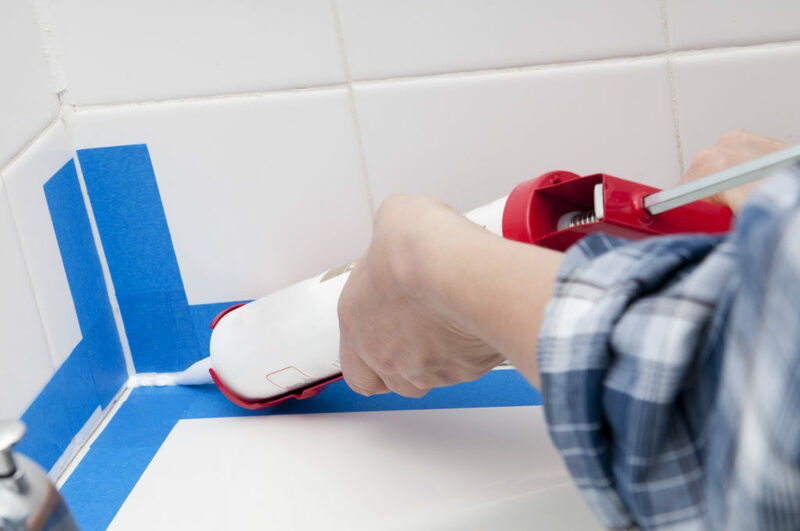 Apply a line of silicone sealant to the underside of the trim and firmly press it into the corner between the wall and bath, over the new seal. The final steps are to wipe away any excess sealant that has been pressed out from underneath the trim, apply a thin bead of sealant to any noticeable gaps between the trim and the wall or bath, and apply end caps to the trim for a professional finish. It’s that simple! Adding trim over your newly replaced seal will conceal any imperfections and prolong the life of the new shower seal, keeping it waterproof for longer. If you’re re-sealing your shower tray at the same time as you’re installing or replacing bathroom wall panels or tiles, the process is slightly different and involves using our clad seal kit instead. Watch our video guide to sealing a shower tray at the same time as fitting wall panels for help with this.